A Counselor is someone who listens no matter what you say. A Counselor is someone you can talk to when you feel confused. A Counselor is someone you can talk to when you need to share something very special. A Counselor is someone you can talk to when you feel angry. A Counselor is someone you can talk to when you feel worried. A Counselor is someone you can talk to when you feel proud. A Counselor is someone you can talk to when you fell frightened. A Counselor is someone you can talk to when you feel sad. A Counselor is someone you can talk to when you feel lonely. A Counselor is someone who is always a friend. School counselors work in partnership with the school staff, parents, and the community to help students have a more positive and successful school experience. The primary focus of the school counseling and guidance program at the elementary level is prevention. School Counselors work with ALL students and our goal is to help empower students with self-knowledge, positive interpersonal skills, and coping strategies for the issues that elementary children typically face. Counselor(s) at North Warren teach classroom lessons to help students develop conflict resolution skills, improve their self-esteem, recognize and counteract bullying and harassment, and utilize good decision making strategies. How does a student see the School Counselor? There are many reasons for children to seek out their school counselor. The times that we live in can be stressful and difficult. Many personal and school related problems can have a direct impact on a child's ability to learn. School counselors provide a safe and confidential environment for all students to help facilitate their academic and social success. Students may be seen by the counselor on an individual basis. They may self refer by letting their teacher know if they would like to set up a time to see the counselor and the teacher will arrange a time for them to go down so they won't have to miss class if possible. The student can leave a note on Mrs. Hill's whiteboard or stop down to let her know. Teachers and/or administration may refer a student to see the counselor, and of course parents can request that their child see a counselor. At times referrals are given to parents for outside counseling if it is determined that your child could benefit from a more consistent and structured therapy plan. Please feel free to contact the Counseling Office if you would like to refer a child to individual counseling. Group counseling if offered on a number of topics to students in Kindergarten through 5th grade. Letters about the group(s) we are offering go out to students for parent permission. Parent permission is always required to be in a counselling group. All groups range from about 4 - 8 students. At the beginning of the year we offer a lunch session for new students to come and meet the Counselor and play a "New Student Game". What groups are currently offered? This is a group for anyone in grades 1 through 5 whose family has changed. The kind of changes Banana Splits kids have experienced are: parents separating or divorcing; a parent remarrying; the death of a parent; living in a step or "blended" family. splits kids may live with Mom or Dad or a grandparent or a foster family or another adult. 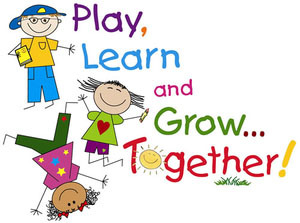 This is a group for anyone in grades 1 through 5 who may have trouble making or keeping friends. When a student is referred or self identified we will create a group that includes his or her peers that meets on a regular basis. At times the group has multiple students who have had friendship issues and can work together to learn how to be good friends. *If a group is not being offered when a child is in need of a particular topic, individual counseling is an option. At North Warren Elementary School we are very committed to introducing and reinforcing character traits that make a positive difference in peoples' lives. We consider character education to be at the very "heart" of what we want to teach our students.